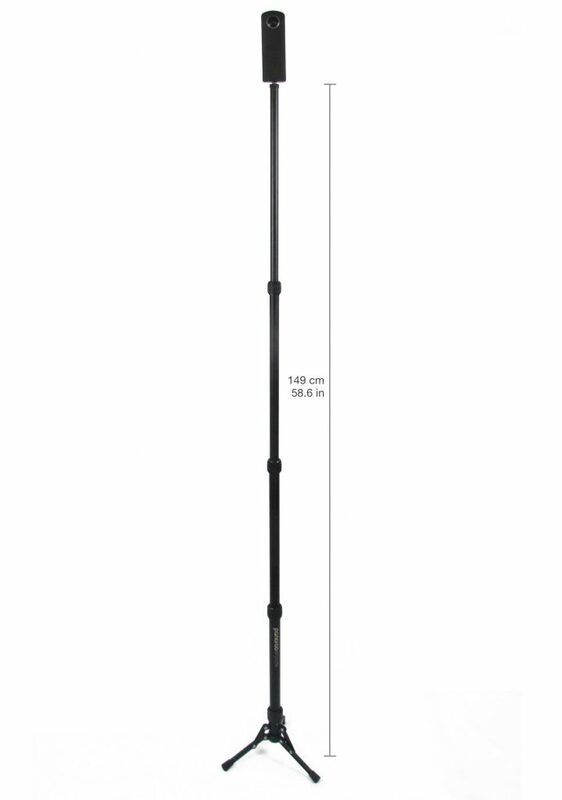 Panoroo Stealth is a monopod designed specifically for 360 cameras. It is invisible even to thinner 360 cameras such as the Ricoh Theta, and also features built-in tripod legs that fold into the body. The Stealth is 17.3 inches when collapsed and 58.6 inches tall when fully extended. It is made of high grade aluminum and weighs just 0.99 lbs. It has a 1/4-20 tripod connector and a 3/8 adapter. Panoroo said they are sending a unit to me for review. I’ll update this post if and when I receive it. 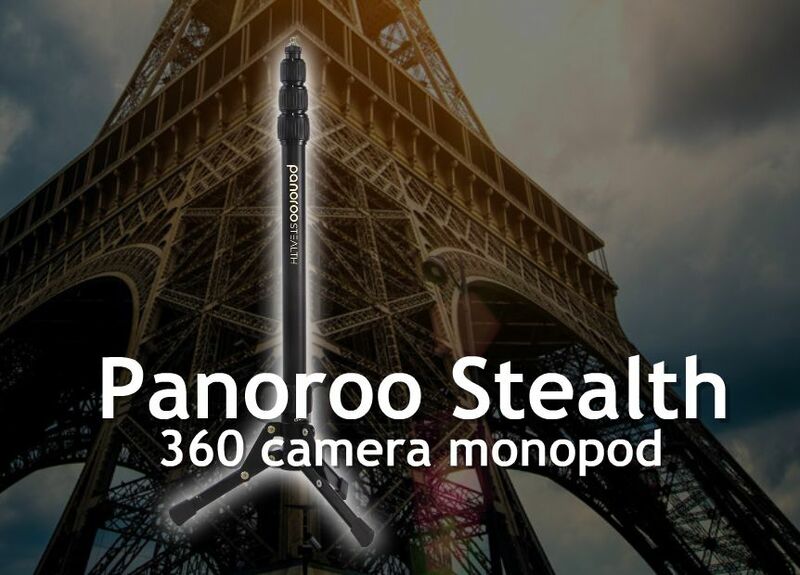 To promote the Stealth, Panoroo is raffling two Stealth monopods here. Meanwhile, the Stealth is also available for preorder here. An idea: transparent material (plastic?) monopod legs.